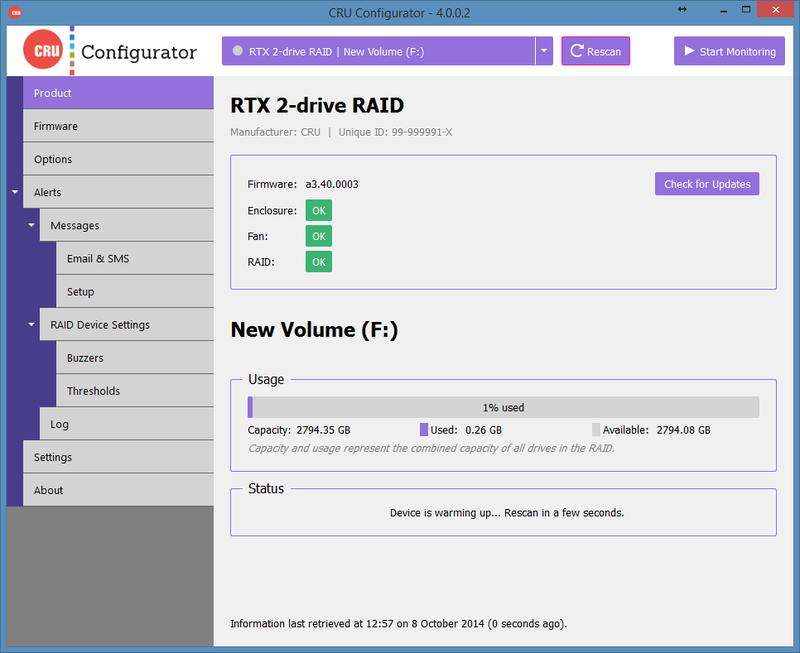 CRU Configurator v4 Software for Mac and Windows platforms provides extended configuration options for a growing number of our CRU products. Customize temperature warning and alarm thresholds for CRU RAID enclosures and drives. Control which warning and alarm events cause a CRU RAID device’s audible buzzer to sound. Receive email and SMS text notifications when warning or alarm events occur. View firmware information of select CRU storage devices. View temperature warning and alarm thresholds for CRU RAID enclosures and drives. The ability to modify other options is available using the Windows version.